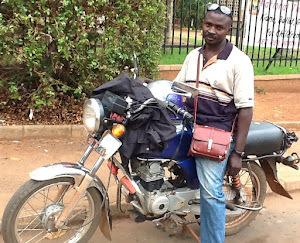 Bodaboda Baby: Found, on a Ugandan roadside selling feather dusters: The Socceroos' newest ambassador. Found, on a Ugandan roadside selling feather dusters: The Socceroos' newest ambassador. 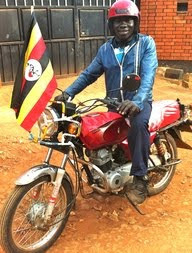 Spotted, on the streets of soccer-mad Uganda, flying the flag not for the Ugandan Cranes but the Australian Socceroos. 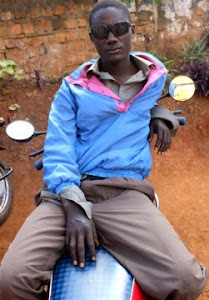 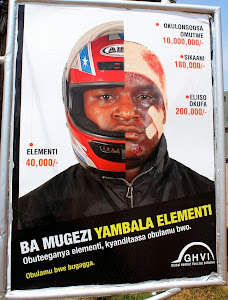 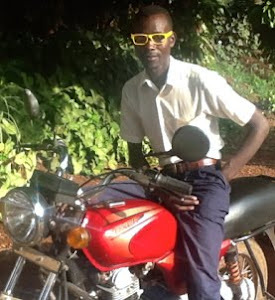 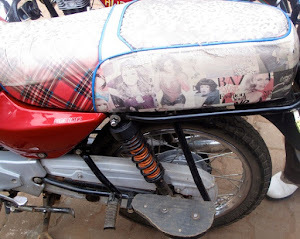 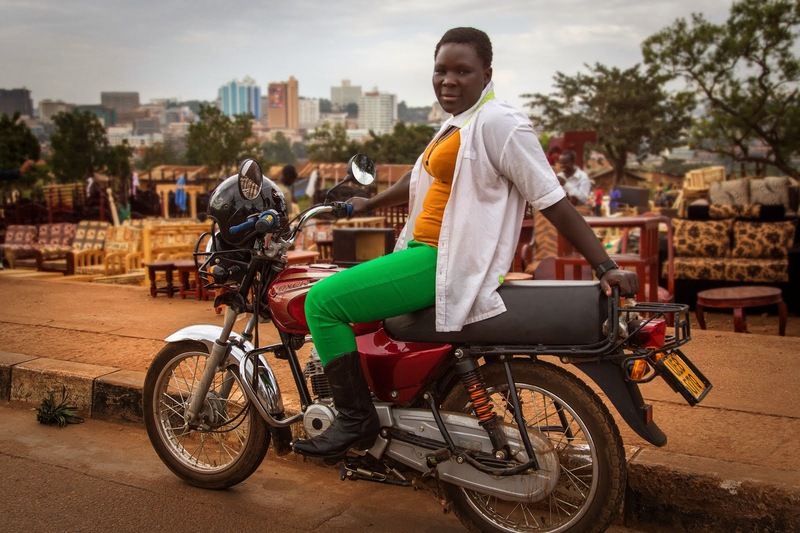 So okay this blog is supposed to be solely dedicated to the stylish boda drivers. 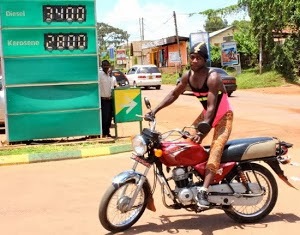 But they're not the only ones who are "smart" in Uganda. 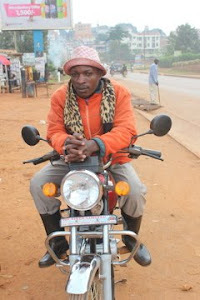 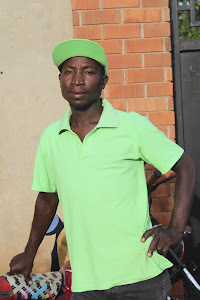 And I did meet Sitivini, who was sporting the Australian Socceroos jersey and selling colorful feather dusters, on the side of the road while a boda was bringing me home from Garden City, causing my driver to really hit the brakes and stop. 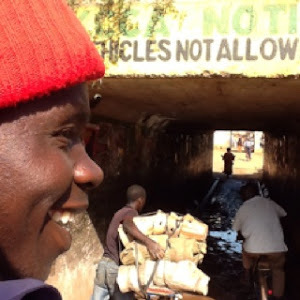 I just had to go back and get a shot and Sitivini happily posed for a photo - after I paid his friend selling loo paper alongside him 15,000 Ugandan shillings ($5.30 AUD) for a ten-pack (some may call this a bribe but I was given a discount of 5,000 UGX). 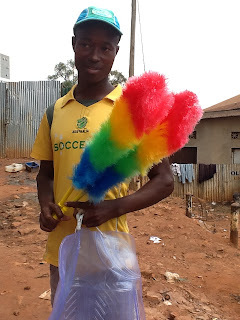 I was offered a feather duster as well and it was hard to say no, but our house needs the toilet paper more at the moment. 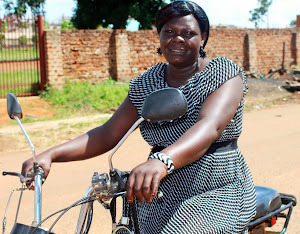 Everyone was most excited about the taking of the photo, including the boda driver and Sitivini's mates, who all crowded round speaking in Luganda (the only word I could understand was "mzungu" - foreigner). 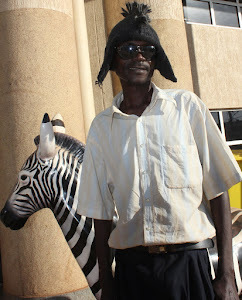 This isn't the first time I've spotted Ugandans on the streets of Kampala flying the flag for Down Under's sporting teams. 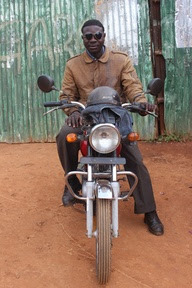 Last week my boda driver, Dennis, took me to Garden City on his bike wearing a WASP hockey shirt (post on Dennis coming soon). 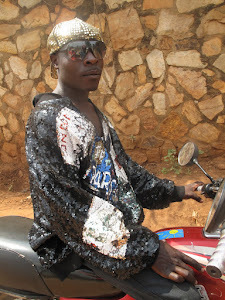 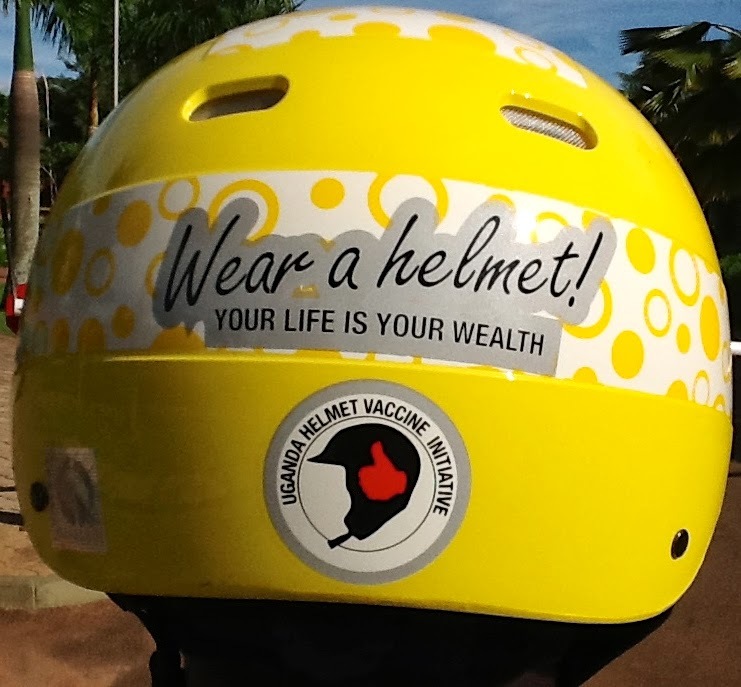 The shirt my boda driver Dennis was wearing last week. 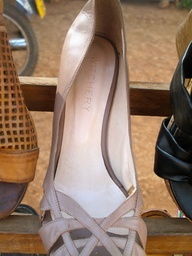 I've found plenty more Aussie labels here, everything from Witchery (a pair of heels found at William's stage) to Billabong to Country Road. 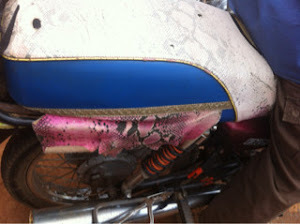 My mission is now to find as many different brands as possible, Aussie and non-Aussie. 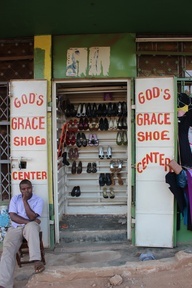 I found these Witchery heels at my old boda stage with my former driver, William. 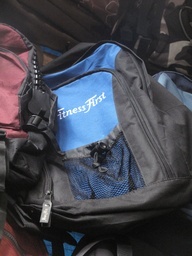 I've even uncovered Fitness First backpacks - when I lived in Sydney seven years ago they were giving them out for free when you took out a membership - at Owino market. 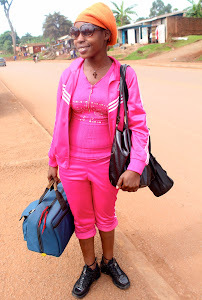 In Uganda they're even flogging Fitness First backpacks. Cricket Australia is particularly well represented on the streets of Kampala. 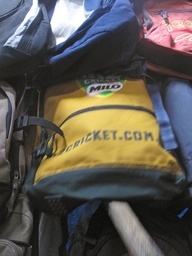 I've spotted a Milo backpacker with the Cricket Australia logo on it at Owino. 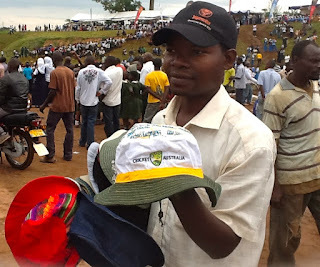 In Independence week in October I came across a Ugandan selling a Cricket Australia hat during a Jubilee concert in Kabaka's grounds (coincidentally, an Australian choir was performing at the concert). 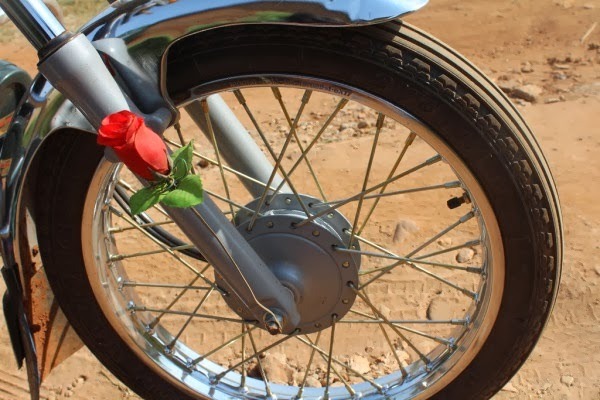 And I'm sure there's more waiting out there for me to unearth. 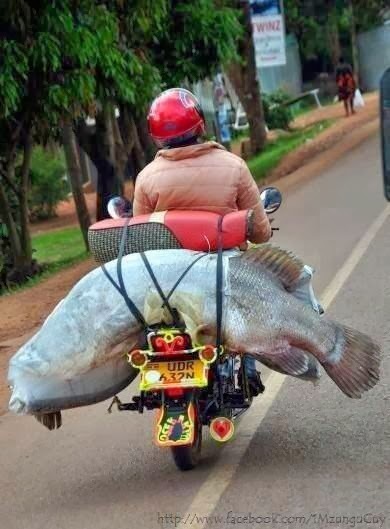 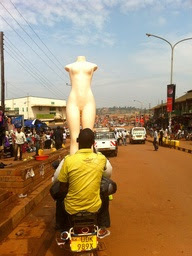 You never know what goodies will turn up in Uganda.